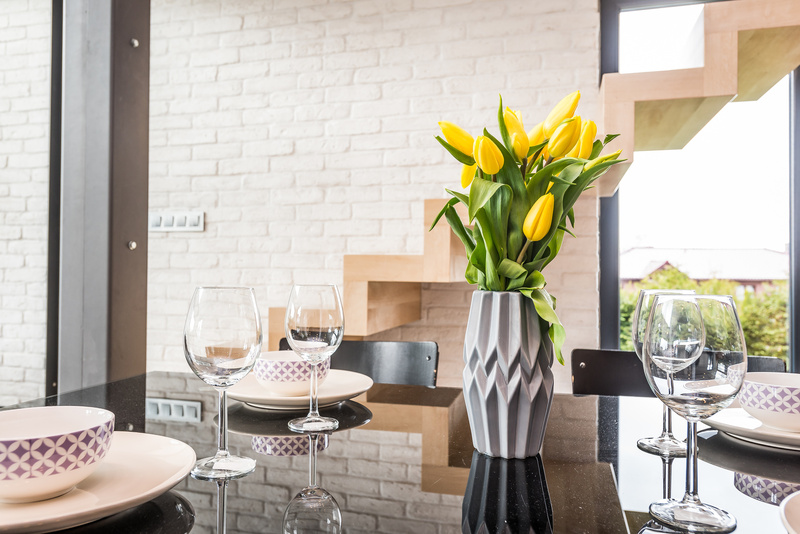 Top 5 Reasons Why the Cost of Staging a Home Is Worth It. Top 5 Reasons Why the Cost of Staging a Home Is Worth It? It’s your home sweet home until it comes time to sell. The last thing you want is it sitting for months on end. Each year, 600,000 people sell their homes. Some of them use staging to impress potential buyers and remove that lived in look many homes have. Home staging is expensive. Many people don’t believe the cost of staging a home outweighs the benefits. Realtors understand what buyers want and use staging to show them the home of their dreams. They walk into a dressed-to-the-nines home. Soon, they’re ready to call the bank, because they’ve made their decision. A home isn’t a home without furniture. When you move out and leave an empty house, it’s hard for people to see themselves living in it. It’s not a home anymore, it’s a house. Staging not only shows a full house, but displays it at its absolute best. Realtors rent furniture and accessories that emphasize the house’s best qualities. Your furniture may have looked nice in the home, but the staging furniture turns your home into a palace. Potential buyers can imagine enjoying the space with their families and friends. How much does it cost to stage a home? It all depends on the size of the house and staging time. Consultation with a home stager, plus the actual staging, can be $2,000 or more, but it’s worth it in the long run. A home that sits on the market for months isn’t good. You’re stuck paying on the new mortgage, and the old, until it’s finally sold. You’re also not there, and any number of problems from a broken water pipe to electrical issues can happen. Staging gives the home an aesthetic boost. This gets it off the market faster and without a price reduction. Staging doesn’t increase the actual value of your home. It does increase its perceived value. Perceived value is how much the potential buyers believe the home is worth. Potential buyers can shell out 1-5 percent more for a staged home than non-staged. It’s no wonder 38 percent of Realtors stage homes. The increase they’re willing to pay absorbs the home staging cost. They see the home as well cared for and a worthy investment. People look at your home long before they actually step foot in it. Realtors place the homes online. Potential buyers compare them to other houses from their computer or cell phone. You want the best pictures possible, and those come from staged home photos. Your home staging cost gets you pictures that pop. They’re far more appealing than those from non-staged homes. The photos are what get interested buyers through the door. It’s possible the house staging cost could be tax deductible. That’s putting money back into your pocket. It could be a service to prepare your home for sale, and that could be a deductible cost. Your accountant or tax preparer would know if your state provides that deduction. The cost of staging a home is the biggest worry people have. It’s going to make your house sell faster and for more money. If you’re interested in learning more about home staging or other real estate matters, then visit our website today.